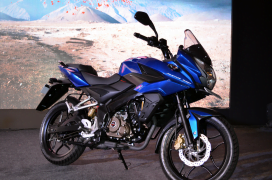 Bajaj seems to be on a mission to flood the two wheeler market with numerous variants of the Pulsar and they took a big step yesterday towards fulfilling this mission by launching two new motorcycles- Pulsar AS 150 and Pulsar AS 200. 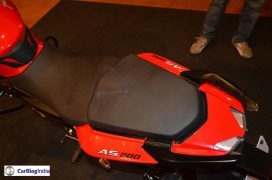 While the AS 150 is the first of a new range of 150cc Pulsars, the AS 200 is the third iteration of the 200cc line-up after the RS 200 and 200NS. 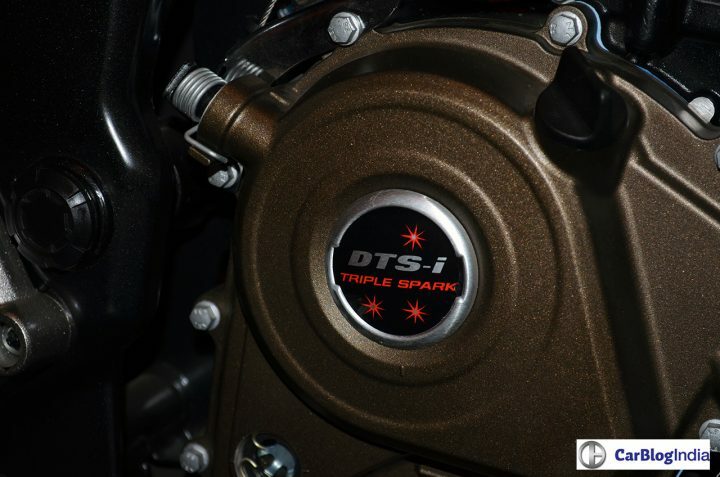 Although the two bikes might look identical from the outside, they get very different power units which sets them apart in terms of performance and riding dynamics. 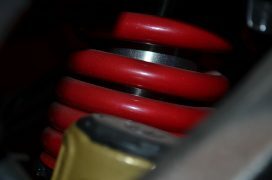 In fact, the two motorcycles are mechanically very different. Read our Bajaj Pulsar AS 150 vs Bajaj Pulsar AS 200 comparo below to find out what sets the Pulsar AS 150 and Pulsar AS 200 apart and which of these two motorcycles will be more suitable for you. Both bikes are almost identical from all angles. 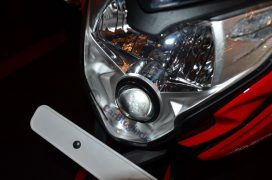 The most defining feature of the Pulsar AS series, the touring bike like front fairing, is shared as it is without any changes making it difficult to tell the AS 150 and AS 200 apart. The Adventure Sport series is basically intended to be a series of long distance touring bikes which do not mind a few off road excursions and Bajaj has certainly gotten the look right. The large wind deflector and upright riding position will help during cross country rides. The front headlamp is one of the most beautiful part of the design with the projector headlamp unit flanked by LED pilot lamps. The wind deflector has been bolted on with exposed screws which is another nice touch. 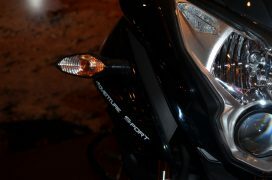 The overall styling, especially the front end, seems to be inspired by the Discover 150F. The rest of the bike is identical to its naked sibling, the Pulsar 200 NS right from the fuel tank to the seat to the LED tail lamps. 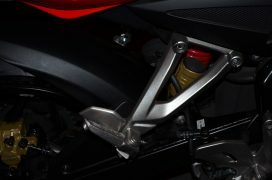 The other minor difference between the AS 200/150 and the 200 NS is the number plate housing which is now made of plastic. The only visible difference between the Pulsar AS 150 and the AS 200 is the use of drum brakes and skinnier tires on the former. The semi digital instrument cluster and the switchgear have all been carried over from the Pulsar 200 NS. The Pulsar AS 150 buyers would like the fact that their bike resembles its more expensive cousin, while the Pulsar AS 200 buyers would not really appreciate the resemblance to its cheaper, less powerful sibling. 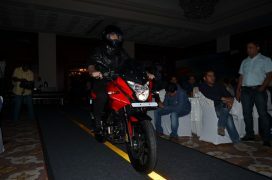 The Pulsar AS 200 gets a more powerful 200cc engine with liquid cooling. It also gets dual disc brakes and fatter rubber. Its interesting to note that the Pulsar AS 150’s engine is the most powerful air cooled 150cc motor in the country right now. The prices announced at the time of launch are introductory and will certainly go up after a few months. Both bikes are cheaper than the competition offering fantastic value for money. 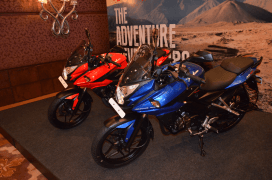 There is a price difference of just INR 12,550 between the Pulsar AS 150 and the Pulsar AS 200 which is sure to tempt many into shelling out that much extra for the latter. There is really no way of picking a winner when it comes to the Pulsar AS 150 and Pulsar AS 200 as both bikes aren’t exactly competitors. It is really about personal choice here. Its like comparing the Pulsar 150 and 200. 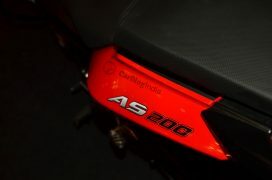 If you have the extra cash then get the AS 200 because extra power was never really a bad thing. If you don’t then the AS 150 will do just fine. 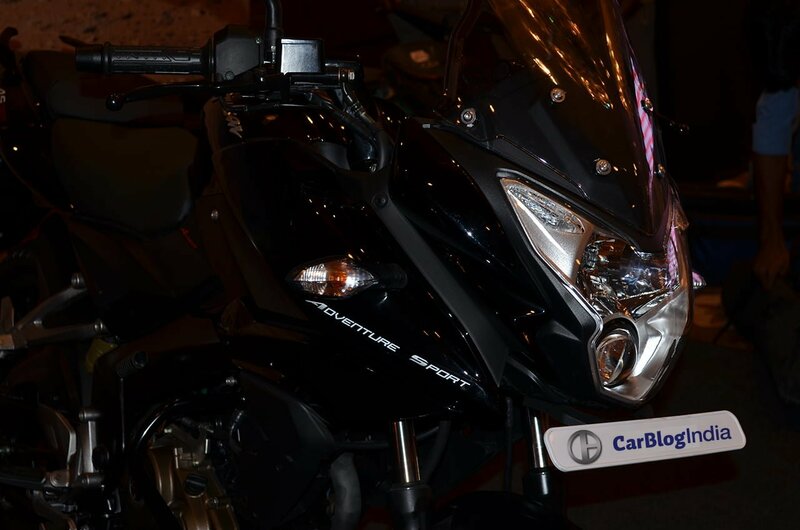 So, what do you have to say on the verdict of our Bajaj Pulsar AS 150 vs Bajaj Pulsar AS 200 comparison? Do share your thoughts by penning them down in the comments section below.